Here's the ecosystem ... $100 is harvested from customers, $25 - $35 goes to vendors, and increasingly independent catalogers are becoming part of holding companies or private equity or Wall St. owned brands. We're at a point where online brands have 5% - 20% ad-to-sales ratios ... while catalog brands have 20% - 40% ad-to-sales ratios. This difference ... about 20% of $100 generated by a customer, or $20, is flowing to the print industry instead of being repurposed for modernization. "If you reduce pages or reduce contacts, you will reduce sales." You'll be told there are rules of thumb, and those rules of thumb suggest that reducing pages or reducing contacts is a bad idea. And in many ways, the advice is accurate. Sales will decrease when you get rid of pages or contacts. The first thing you'll do is refer to your mail/holdout tests, and you'll quantify the fraction of sales that still happen if catalogs are not mailed. You run the tests, right? And on average, you don't believe the results of the tests, because the test results are inconsistent (because sample sizes are too small because your Executive Team didn't want to "lose sales"). Or, the results are consistent and tell you that half or more of the demand you generate has nothing to do with catalog marketing, and you don't like what the results tell you. Or the most common answer ... you don't execute the tests, because your vendor partners tell you that your matchbacks are fine (they're not - they horribly overstate results in a way that causes you to spend more money on paper/printing). But if you are honest, you've run the tests, you've validated the findings and then you have partnered with your Finance Team to run a profit and loss statement ... with and without catalogs. Your results might look something like this (your mileage will vary). You'll show your results to your vendor partners. Here's what you will be told. You lose $50,000,000 if you stop mailing catalogs. You can't do that. You make more profit by mailing catalogs. You can't stop mailing catalogs, or you will be less profitable. 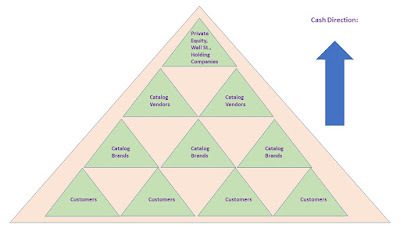 And based on the facts of the table, your vendor partners are right. Your business will be cut in half. You will have to get rid of staff tied to strictly catalog marketing and that will be painful. But notice that the difference in profit isn't that big. What would you do if you had an additional twenty million dollars of cash laying around? You wouldn't just do nothing, would you? You might execute free shipping 24/7/365 ... you might initiate a loyalty program and you might give your best customers perks previously unheard of, because you'd be able to because you'd have access to all this cash that you used to pay to paper/printer folks. And you might not get rid of catalogs! Reduce catalog marketing expense by 70%. Increase online marketing expense by 50%. And if you did that, your profit and loss statement might look different. 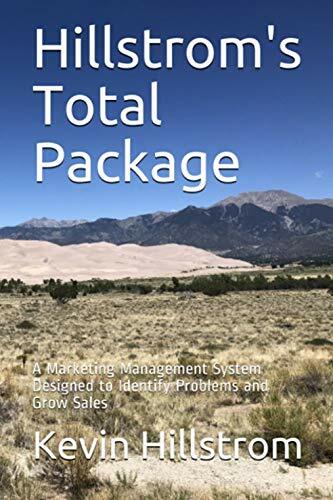 You're mailing 30% of the catalogs you used to mail - you are doing more online marketing and low-cost / no-cost customer acquisition - and you are doing free shipping 24/7/365. And when you operate your business this way, coupled with the 50% of your business that is organic and not driven by catalog marketing, you quickly learn that you can be just as profitable. Smaller, but just as profitable. Here's what you will be told. Now, I went through this back-in-the-day at Nordstrom. We ran the scenarios. We learned that the catalog business was essentially break-even, based on the scenarios we ran, based on how we'd reinvest our efforts. Then we fully killed the catalog altogether ... and a funny thing happened. Sales didn't decrease ... online and store sales increased, in fact online sales increased faster than call center sales decreased, resulting in a net direct channel sales increase. Profit increased dramatically ... without $36,000,000 of paper out there, profit surged. I worked with a company that tested all of their direct mail and catalog efforts ... and learned that 90% of their sales would happen anyway. The Executive Team did not believe the results, and more importantly, did not know what they would do if the results were true and they ran with the results. I've also worked with companies that lose 80% of their sales if the catalog disappears. Cutting frequency or pages is catastrophic, and is a bad idea. So the issue isn't whether you cut 0% of your pages, or 70% of your pages, or 100% of your pages. Are you willing to think independently - thinking outside of an ecosystem that takes 20% - 40% of your cash leaving you with 5%? Are you willing to run scenarios, to test, to try different tactics and strategies? Are you willing to go where the scenarios take you? Are you willing to speak up? Are you willing to speak with conviction? Are you willing to have an unpopular conversation with a vendor, even if the vendor rep yells at you? Are you willing to have an unpopular conversation with your CEO, even if your CEO yells at you? I think you are willing to do all of those things! And I think your vendor partners are willing to go on the ride with you, because I think your vendor partners are independent thinkers. They like strategy. They like confidence. They like being part of a solution. They like success! 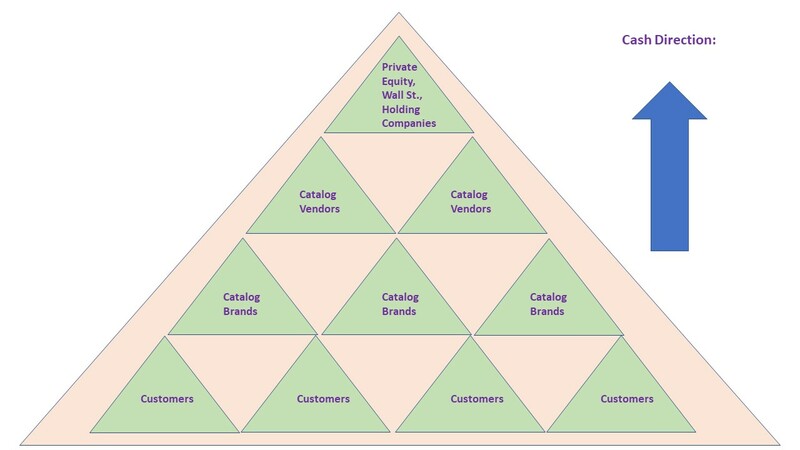 The Structure of the Modern Catalog Industry inhibits creativity, and for good reason ... the ecosystem we belong to requires us to pass 20% of our cash along to the vendor community to pay the debt on the fancy printing devices we don't fully take advantage of. Imagine how frustrating it must be to be a printer who goes knee-deep into debt to help you perform better, only to hear that your big change in strategy is moving the November catalog one week later and adding four pages? They're saddled with debt because of our inaction ... we're passing 20% of cash to them to pay the debt. That's a severe tax burden on each side of the equations. I think our industry ... all sides of our industry ... is better than this. I'm betting on you. And our vendors. All of 'ya.